Star Trek celebrities have been long sought after to endorse a variety of products, from William Shatner pitching Priceline and DirectTV to Jonathan Frakes hawking enterprise software. 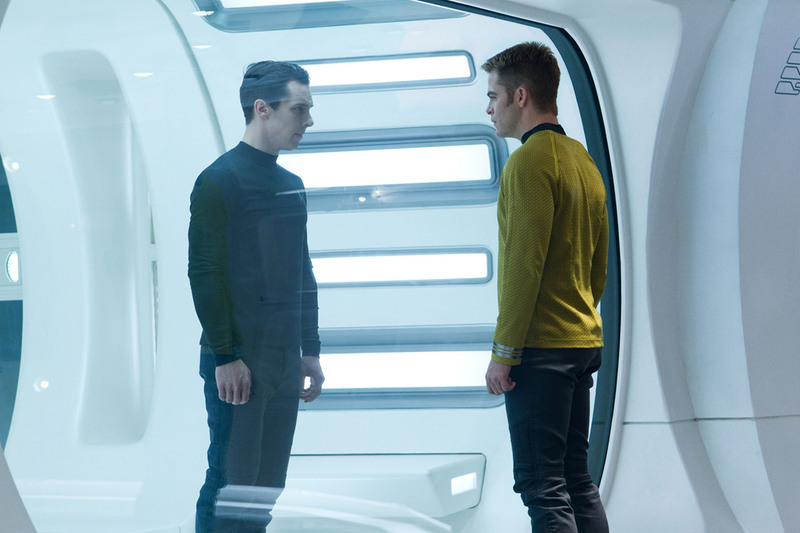 The connection between Star Trek and the product being sold can be tenuous or non-existent, but a savvy director and clever script can nonetheless make the most of their actors' heritage. Leonard Nimoy's the real star here, working in references not only to Star Trek II: The Wrath of Khan but to his singing career. 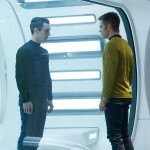 He also proves that he's a far more experienced Vulcan than young upstart Zachary Quinto, who still has much to learn! For those of us who have been avoiding spoiler-laden summer movie trailers, these commercials are fun little doses of original content bases on our favorite spacefaring franchise. Still, they're no substitute for the real thing. See you next week! You can also download the film from iTunes for $15 standard definition and $20 HD. iTunes' online rental option won't be available until December 16, though Amazon has it now for $4. No matter what format you get, this film is sure to be the perfect stocking stuffer this holiday season — or, if you can't wait for Santa, then share it with the family next week on American Thanksgiving. Though if you don't think you'd like the film at any time of year, then RiffTrax's audio commentary will be available this Thursday. I've been to the movies 389 times in the last 15 years. 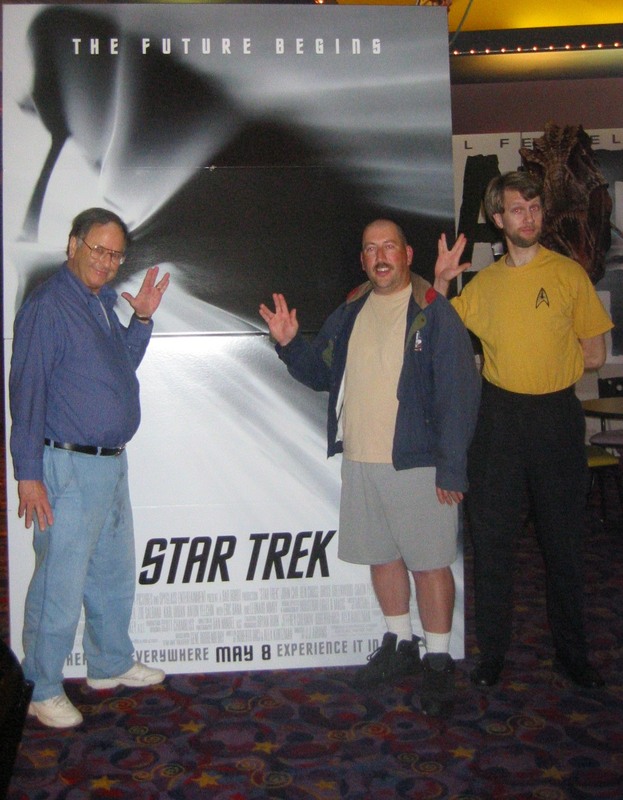 Of all those films, a few were worth seeing twice, but Star Trek is the only movie I've seen three times in theaters. I can't wait until home video lets me add even more repeat showings to my record! Filed under Reviews, Star Trek; 6 comments. After years of cautious optimism, this is the week we've long lived and prospered for: the return of Star Trek to the silver screen. Much has changed in the seven years since the last film, including the cancellation of the TV series Enterprise, marking not only the end of a continuous 18-year run for the franchise on the small screen, but also a changing of the guard. A familiar cadre of talent had run Star Trek for decades — into the ground, some would say. 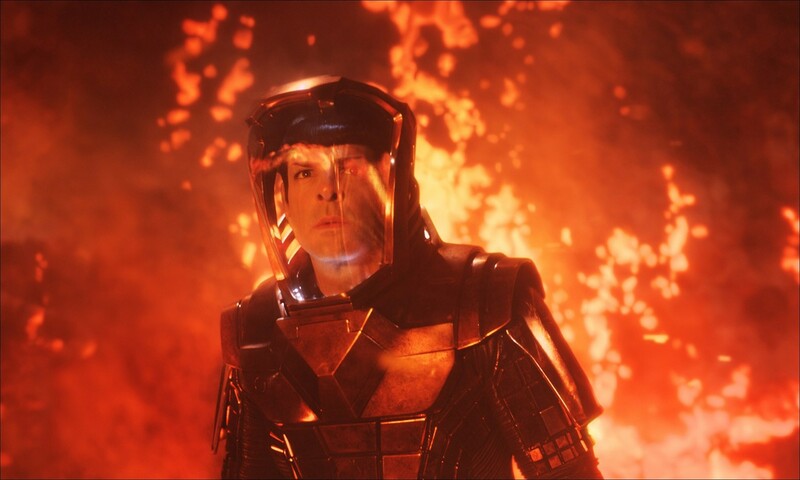 The 2009 film, directed and produced by J.J. Abrams and starring mostly unknowns, could either invigorate or distort Star Trek. With my father (who introduced me to the show in 1987) and my oldest brother, we were there for last night's premiere. 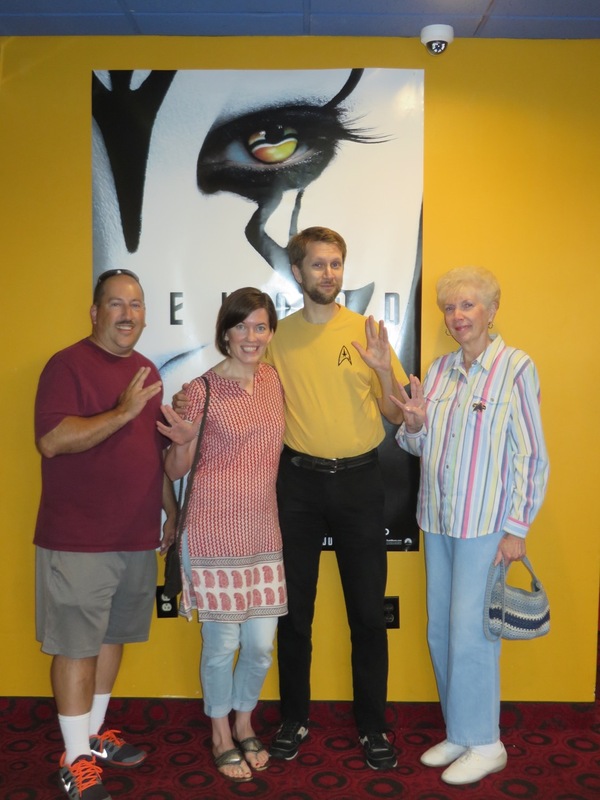 How did we — dedicated and casual Star Trek fans, young and old — react? I'll answer for me: The first ten minutes had me in tears. That isn't hyperbole or dramatic effect; it's literal truth. This action-packed opening sequence is so tragic, yet so heroic; and what it does to the Star Trek universe is terrible, yet also elegant and necessary. This film is both a prequel and a reboot, documenting the first voyage of Kirk, Spock, and company — but it's not the same ship and crew we remember from 1966. There are differences, both subtle and profound, which the opening sequence makes possible, thus giving the creative team the leeway they need to make something both fresh and familiar. Fans will find much to like here, such as in nods to Trek lore that don't feel forced, be it the death of a character or Chekov's accent. But there's more going on here than in the details, such as the recasting of the iconic crew. I found it surprisingly easy to accept fresh faces in roles that we've long identified with particular actors, and these newcomers' performances are mostly true to the characters as originally written, without being mockeries. Sulu, Chekov, and Scotty each get notable scenes; Bones and Uhura, a bit more. 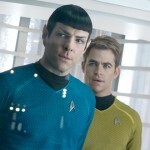 But this adventure is really about the young, brash Spock and Kirk. 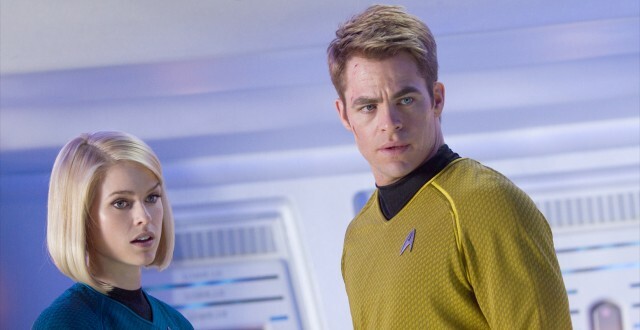 These aren't the older, wiser Starfleet officers we're accustomed to, yet I can imagine Chris Pine's Kirk acting and reacting just as William Shatner's Kirk would've under these circumstances. 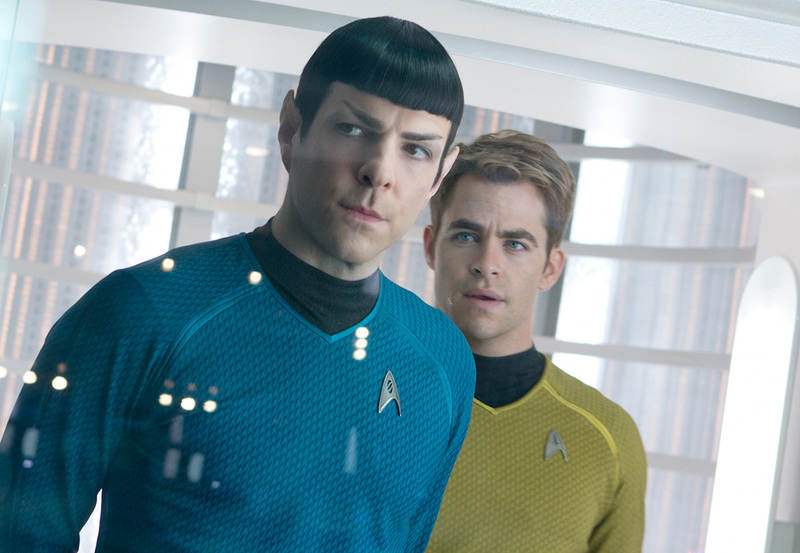 Filed under Star Trek, Trailers; 4 comments. With still six months to go, Star Trek XI has already traveled a long road. The intention to develop the property was announced in April 2006, with the first poster coming out in June of that year. JJ Abrams (Lost, Alias, Mission Impossible III) signed on to direct in February 2007, and filming began in November 2007, with a wrap date of March 2008. The film-footage-free teaser trailer was released before Cloverfield in January 2008, back when we thought we'd be revisiting Roddenberry's future as early as this Christmas. I was sorely tempted to not indulge in this trailer at all; if its purpose is to sell me on the film, then its very existence is superfluous. Why not leave that many more surprises until its silver screen debut? But I'm glad I watched it, and gladder still that it is completely spoiler-free. Almost nothing of the plot or obstacles are revealed, leaving us instead with a more general look of the actors and their environment. I confess that even that little is not what I expected. The Enterprise has always faced the final frontier with a sense of wonderment, though here we find it in not the seasoned and mature crew of TOS, but a younger and less experienced crew. As a prequel, that only makes sense, but I worry that too much rebellious angst will fill the film, as suggested by the conflict between Kirk and Spock. Also, seeing Kirk on two classic means of locomotion lends an even lower-tech feeling than its temporal predecessor, Enterprise. Other than these minor points, I have a surprisingly nondescript reaction. The fast-paced nature of the trailer left little opportunity to assess the characters in their roles, or even to get a good look at their ship, within or without. I find myself neither more eager nor more anxious about the fate of the franchise; only the final film will allow me that judgment. 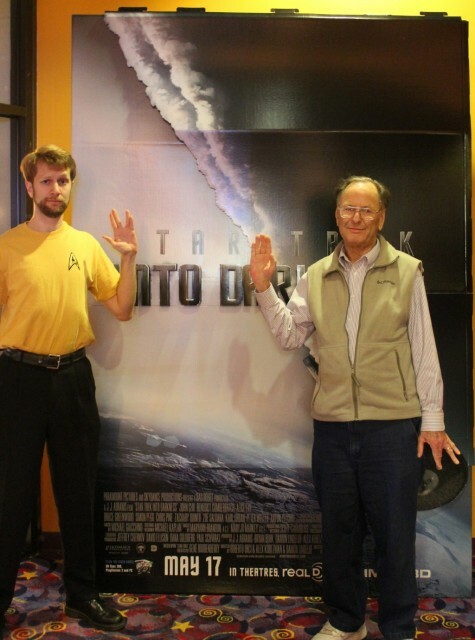 Filed under Star Trek; 4 comments. 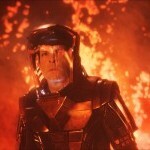 The following pictures are taken from the JJ Abrams-directed film Star Trek XI, to be released originally on Christmas Day 2008, now May 8, 2009. These shots were widely distributed across the Internet earlier this week, but only tonight did Paramount lift the exclusive on the various sites that previously carried them, allowing Showbits to join their ranks. Of course, it's almost impossible to judge a film from such context-free imagery, so I will reserve judgment. A full trailer is expected to be released in November, possibly prior to the new James Bond film, Quantum of Solace. Filed under Television; 2 comments.